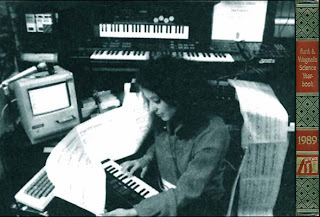 Iris Gillon is an authority in music production, music and computers, orchestral music in films, live music both at events and on stage, and especially in any form of live music in combination with the newest technology – as exhibited in a full page article in the 1989 Funk and Wagnals Science Yearbook Encyclopedia. She appears together in this 4 page story with Stevie Wonder, Robert Moog and The Juilliard School of Music. IGMC – Call Iris Gillon 212-765-8714 for free a consultation! Iris Gillon is New York’s top Event Planner – Read on to see how Iris Gillon can make your next big event a SMASHING success! Iris Gillon will help you select your entertainment which is so crucial to the success of your event. 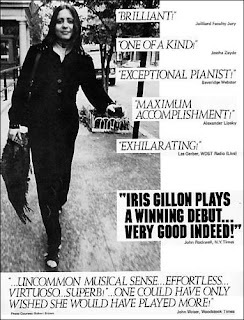 Iris Gillon has the largest and most comprehensive library of bands, orchestras and performers to be found on the East Coast. Iris Gillon or an IGMC consultant will make a presentation to you with videos, tapes and live shows. Iris Gillon can also design you an amazing theme weaved in with the flowers, lighting, band, original vows and even original musical composition if you like! See her recently televised PLATINUM WEDDINGS on Women’s Entertainment Channel in which she wrote an original first and last dance for the bride and groom. Iris Gillon designs complete themes: decoration, dancers, comedians, look-a likes, entertainers of all kinds, games, shows, environments, musicals, movies or fantasy worlds. EVENT PLANNING, DESIGN, PRODUCTION, AND MANAGEMENT Iris Gillon is an expert at handling every aspect of complete event production and design from the earliest stages to completion. Iris Gillon or an IGMC consultant will help you create and manifest a concept of event magic specifically to your desires for your celebration, meeting or product. DECORATION, LIGHTING, STAGING, A/V AND SHOWS Iris Gillon is expert at coordination, production and management of all aspects of any type of show or presentation from the building of stages, sets and handling multimedia events, to the composition of original music, themes, shows performers or any type of entertainment or presentation requirements. Visit the Official IGMC Website at www.IGMC.net where you can watch an interview with Iris Gillon view videos of the bands, see pictures of some of the gorgeous locations we offer for your events, entertainment and much more!